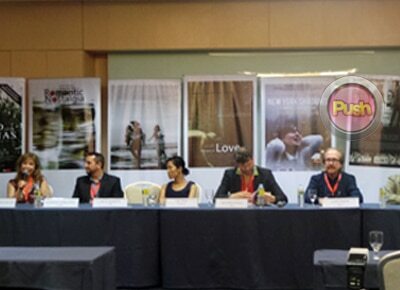 Eight movies across the globe compete for the very first ‘World Premieres Film Festival’ in the Philippines. The Philippines will be holding the World Premieres Film Festival (WPFF) for the first time wherein eight movies fro all across the globe will be shown in the country and will be vying for several distinguished awards. Competing movies under the main competition category include, The Sharks of Copacabana of Spain directed by Rosario Teresa Boyer, Open Wound of Ecuador directed by Alfredo Leon Leon, Romantic Nostalgia of Iran directed by Reza Azamian, From What is Before of the Philippines directed by Lav Diaz, Autopsy of Love of Spain directed by Arturo Prins, Crustaceans of Spain directed by Vicente Perez Herrero, New York Shadows directed by Juan Pinzas, Our Hodja of Turkey directed by F. Serkan Acar and Yilmaz Okumus. The Sharks of Copacabana is a feature film that tells the story of a group of surfers in their fifties who were reunited after twenty years. Director Rosario Boyer said that she has a lot of surfer friends and she wanted to show how they live, hence she made the film. Open Wound tells the story of a soldier named Jorge who was held captive in an enemy's camp. Director Leon remarked that the film is reminiscent of the ongoing conflict their country before. According to him, the story is inspired by a family member. "In Latin America, it is part of our history to have a lot of territorial conflicts between our countries. The story is about a real soldier who is my grandfather's brother. I heard the story from him directly,” he said during the WPFF presscon. Romantic Nostalgia tells the story about a man named Fereshteh who succeeded in getting rid of the security forces. Meanwhile, From What is Before by Lav Diaz is the story of a remote barrio where mysterious things are happening where wails can be heard in the forests, cows are hacked to death, and a man is found bleeding to death. Autopsy of Love is a documentary that explores the reasons behind the collapse of known love archetypes. Director Artutor Prins admitted that he made the movie after he was heartbroken. Crustaceans is a documentary that features social-economic turmoil. New York Shadows is an avant garde psychological drama that tackles the tribulations of Julian, a Spanish filmmaker who came to New York. Director Juan Pinzas also plays the main actor in the film. Our Hodja is a comedy film about “Bizum Hoca” who leads an entire village. The films will be competing for prestigious honors like Best Picture, Grand Festival Prize, Grand Jury Prize, Special Jury Prize, Best Performance by an Actor, Best Performance by an Actress, Best Artistic Contribution, Best Ensemble Production and Technical Grand prize. Catch the WPFF movies at SM Cinemas from July 2 to July 8, 2014.